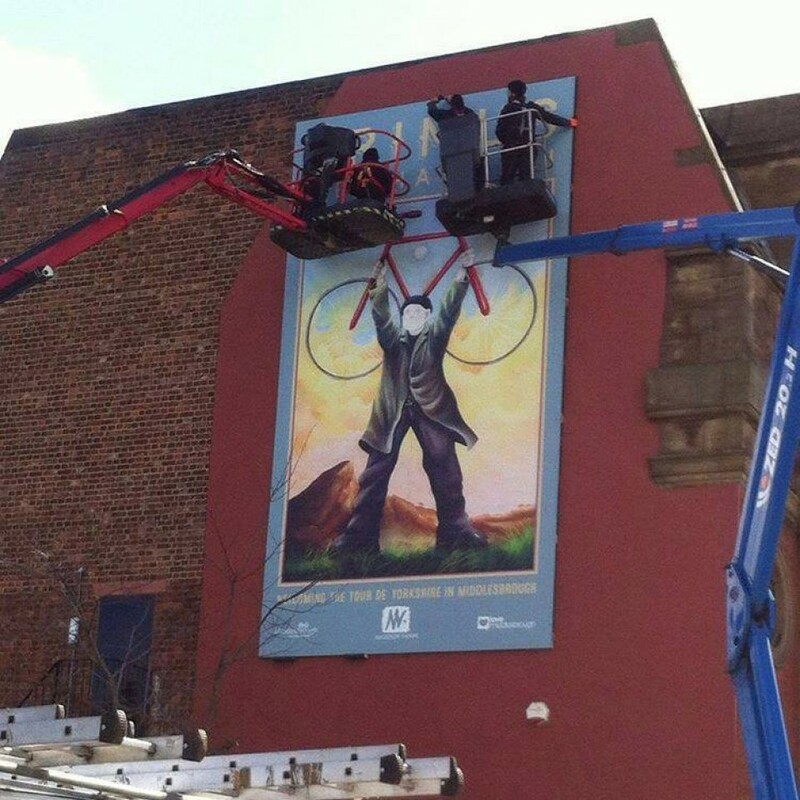 We Shall Be … a start town the Tour de Yorkshire will never forget! 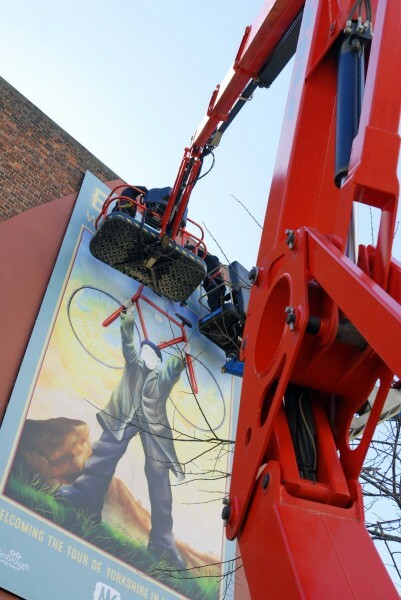 The Tour’s in town on Sunday and Middlesbrough’s best known artist has created a stunning new work that will welcome the cream of world cycling to Teesside. 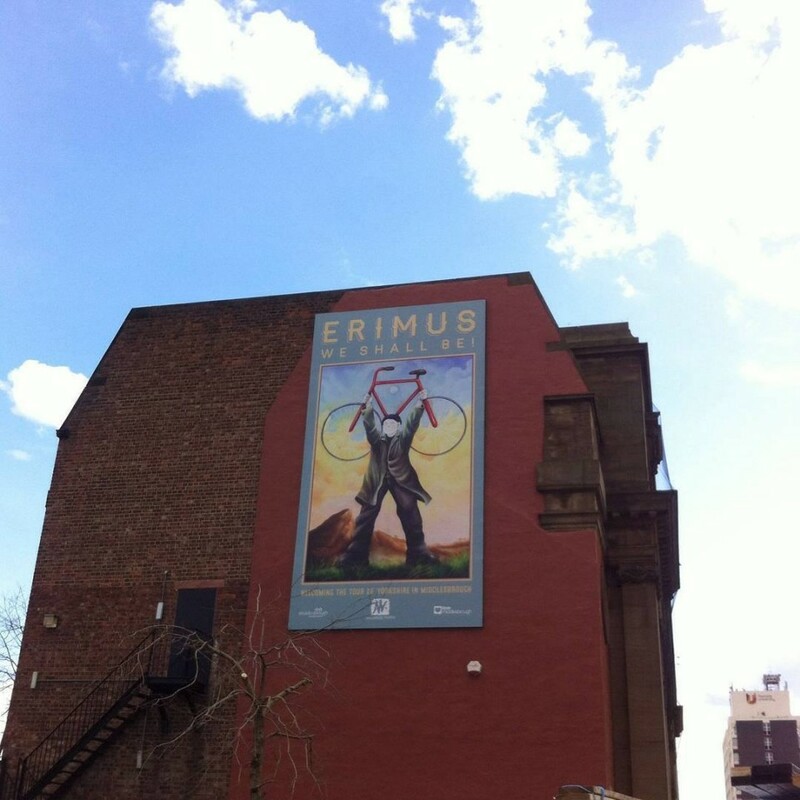 Erimus was created by Mackenzie Thorpe in celebration both of the town’s proud industrial heritage and of its long links with cycling. 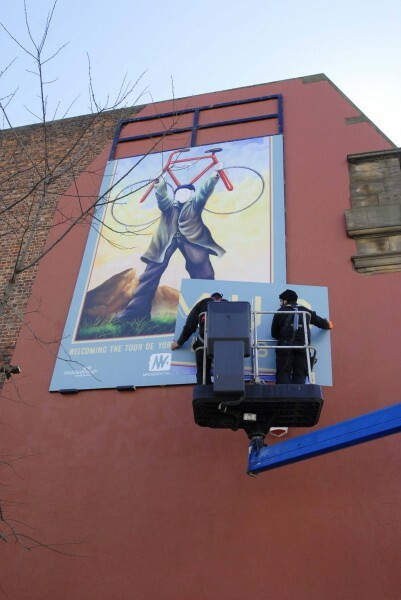 The striking image features a working man holding a bike aloft against the familiar backdrop of Roseberry Topping and the North York Moors. 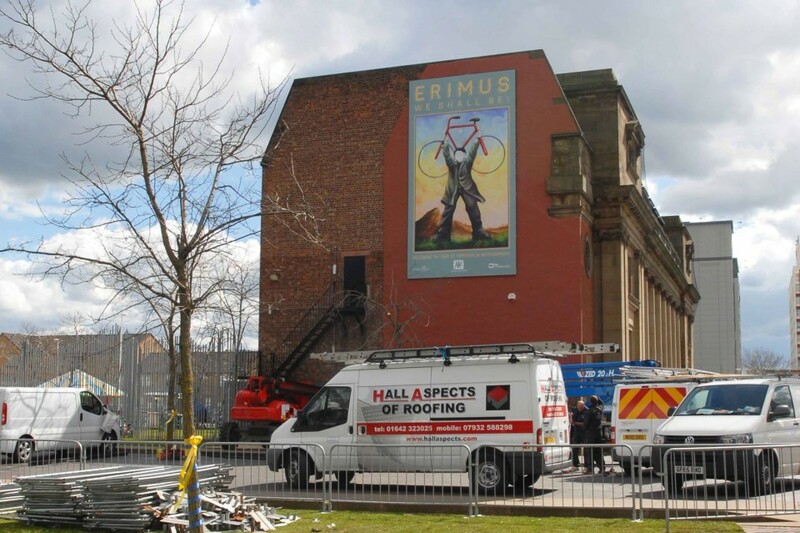 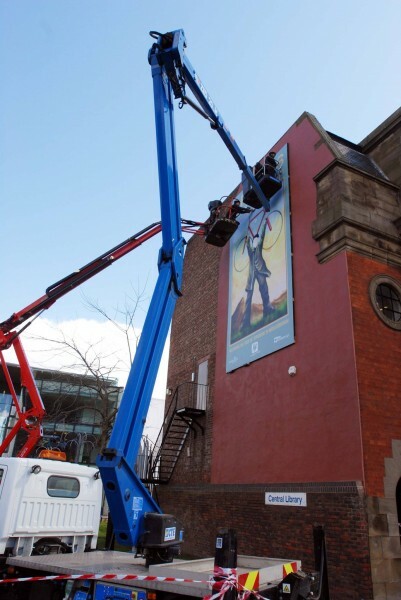 And now in collaboration with Middlesbrough Council, a giant 7m by 4m reproduction of the image – the largest of Mackenzie’s work ever shown in the town – has been installed on the gable end of the Central Library overlooking Centre Square and the start line of Sunday’s race.